British Telecom (BT) on Thursday sold 14.1 per cent stake in Tech Mahindra to institutional investors for about Rs.1,395 crore. BT sold a total of 17.9 million shares to various institutional investors for total gross cash proceeds of Rs.1,394.90 crore (158.6 million pound) at an average price of Rs.777.73 a share. The company said that it would consider further share sale in the Indian IT firm in future. “Following this sale, BT has a 9.1 per cent shareholding in Tech Mahindra but further sales may be considered in the future,” the U.K. based company said in a statement. “The financial impact of the disposal is expected to be treated as an income statement specific item in BT’s next financial results,” it added. Following the sale, the BT group has pared its stake in the Indian IT firm from 23.16 per cent to 9.1 per cent. In 2010, the BT Group had sold 5.5 per cent stake in Tech Mahindra to Mahindra and Mahindra (M&M). Tech Mahindra shares, on Thursday, settled 5.2 per cent down at Rs.792.15 on the BSE, after remaining under pressure for most part of the day. The stock had hit a low of Rs.775 early in morning trade, but managed to recover some lost ground. "Tech Mahindra remains a key supplier to BT," the statement added. 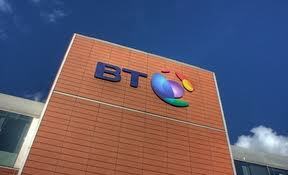 The financial impact of the disposal is expected to be treated as an income statement specific item in BT''s next financial results, according to the statement.